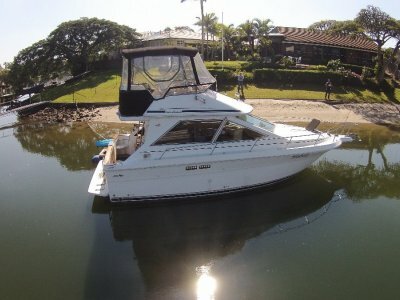 Runaway Bay QLD	Need Insurance? 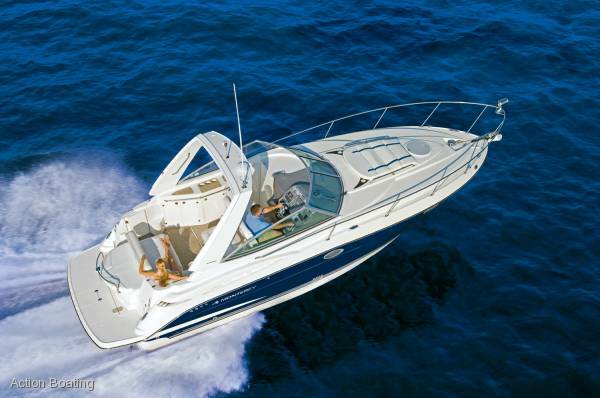 Become one with the water on Monterey's 315 Sport Cruiser. 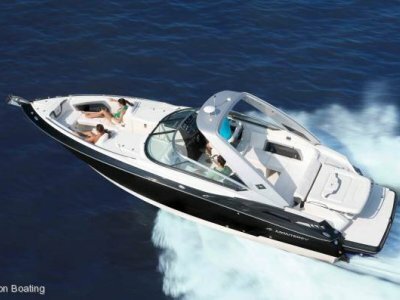 Defined by its unparalleled performance with the power of twin 5.0 V8 Mercruiser sterndrives, the 315 expresses a sense of luxury and comfort through classic Monterey sophistication both above deck and below. 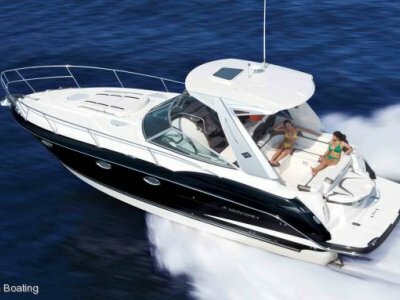 A generous helm area inc Raymarine GPS/Sounder as std with doublewide captains chair, integrated entertainment center including an AC/DC fridge, extended swim platform and ample seating make the 315 the perfect craft for entertaining. 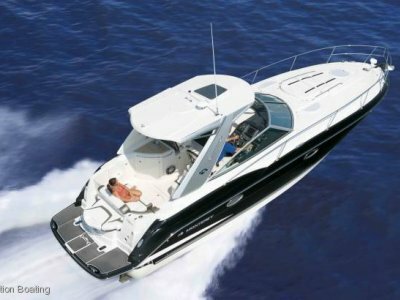 Meanwhile the roomy cabin accommodations allow you to relax in air conditioned comfort( powered by the onboard generator or shore power ), reaching your destinations in absolute comfort. Make yourself at home by relaxing in style and comfort in the 315's oversized interior. The large curved settee doubles as a dinette and converts to a large forward berth with sliding window for ventilation. Conveniently, the strategically designed galley, outfitted with electric kitchen and fully-enclosed head with shower allow for long trips. Plus, the functional mid cabin easily converts from a U-shaped lounge to a double berth for an extended guest list. Fully Australian compliant 12/240 volt electrical systems.